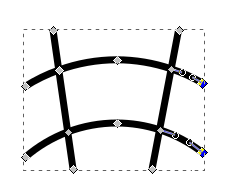 I would like to have that shape cleanly displayed at the intersection points, but again this is proving to be difficult. Any suggestions? Since I use a german menu in Inkscape, I'm not sure for the proppe names of the commands (contour into path, unite, overlay) but the hotkeys should be the same, all in the path menu. I just chosed a thicker line width, to make the path effects better visible. 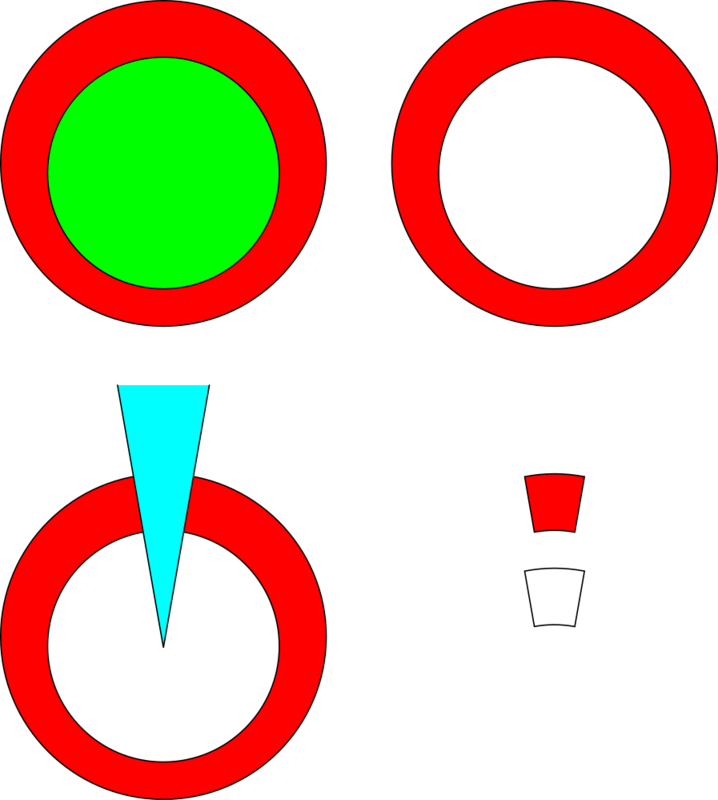 Unfortunately there is no trim tool in inkscape that I know of unless there was an update but for your shape you can do this: Select the two circles (make sure the smaller one is on top) then go to the menu Path>Difference. You'll get a donut shape. I've set fill colors in my example so you can see the difference. 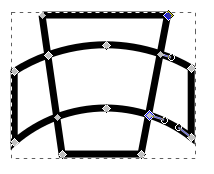 Then select your triangle shape and newly created donut shape and go to the menu Path>Intersection. Your triangle shape is actually two paths so you will have to join them first. 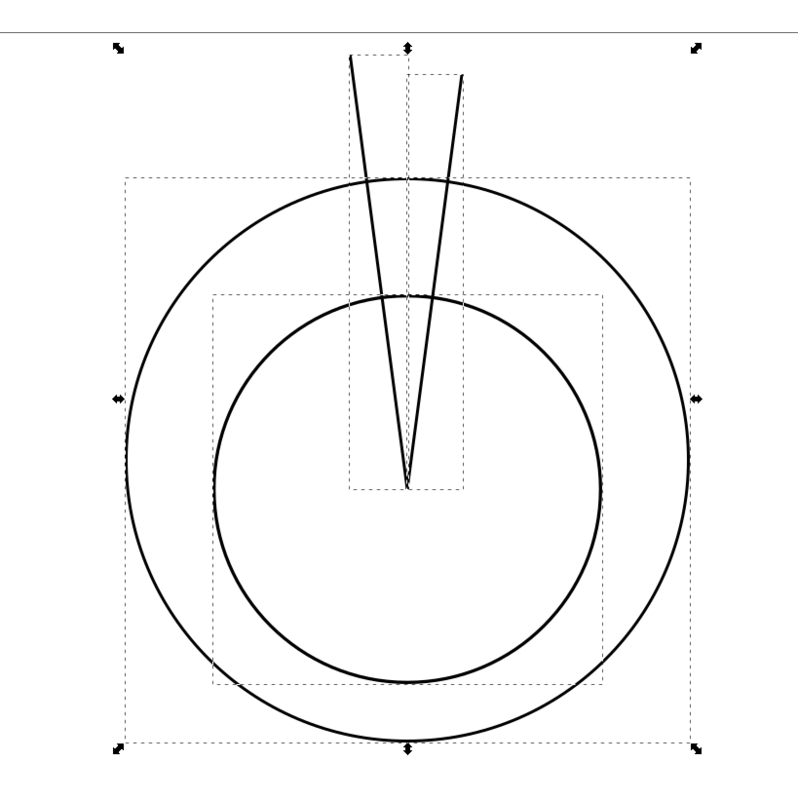 Take out the fill and add a stroke if you need to and you should get your shape. 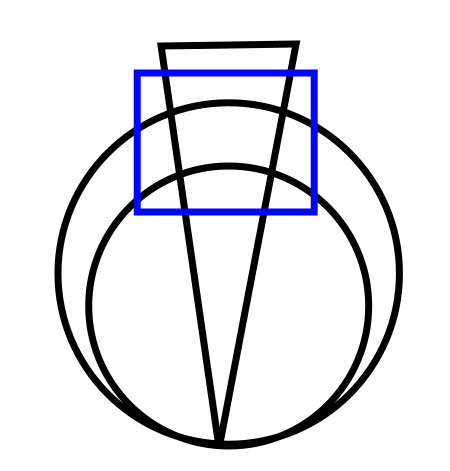 Select both, the combined object and the object for cropping (blue). 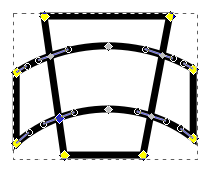 How can I convert a path to a shape in Inkscape?